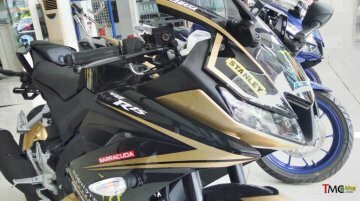 A Yamaha R15 v3.0 with Black and Gold colours has been spotted at a dealership in Indonesia. The colour modification is a dealer-level job. 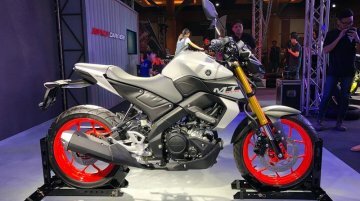 The all-new Yamaha MT-15 has been showcased at the ongoing Thai Motor Show 2018. 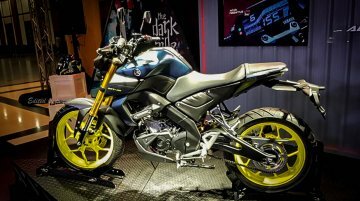 The 2019 Yamaha MT-15 made its global debut in Thailand on 8 October. 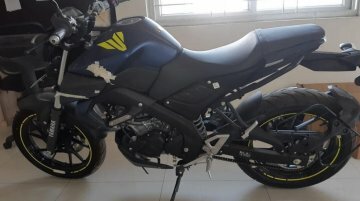 The MT-15, earlier known as the Yamaha..
To be launched within this fiscal. 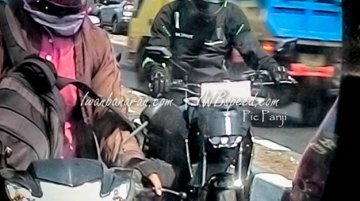 The Yamaha MT-15 has been snapped again in Indonesia, this time by a TMCblog reader. 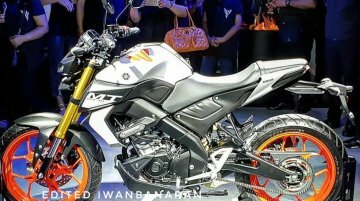 The blog post suggests that the entry-level MT-series motorcycle could be..
M-Slaz had its premiere this month in Thailand. 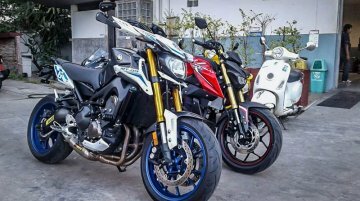 The Yamaha M-Slaz has been photographed next to the Yamaha MT-25 and Yamaha MT-09, by enthusiasts in Thailand. The M-Slaz (also known as the MT-15).. 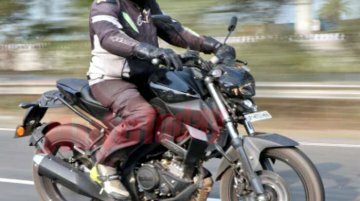 If the latest Autocar India report is to go by, India Yamaha Motor is planning to bring the MT-15 to the Indian market. 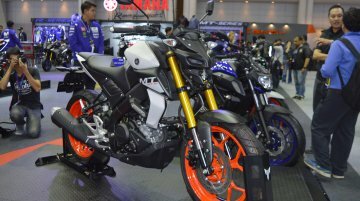 The MT-15 is the naked-roadster variant of the Yamaha YZF-R15 V3.0. Currently,..
Could be based on the next generation R15. 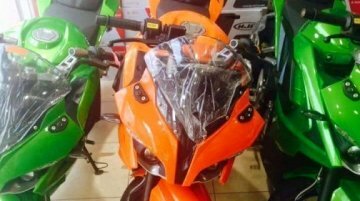 The Yamaha MT-15 has been spotted in Indonesia again, wearing the same level of camouflage as the prototype that was snapped earlier. 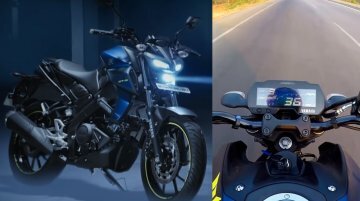 A new rendering of..
India Yamaha Motor has sent out "Block your date" invites for a launch that is scheduled on March 15. 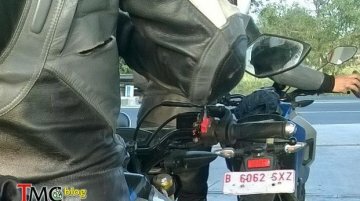 While the two-wheeler brand has remained tight-lipped about the product name, the company has used..